Outdoor adventure tourism is expanding at a fast rate in Jordan, and promises to remain one of the most dynamic and innovative travel industry sectors for years to come. Jordan has a great comparative advantage in this sector, based on several assets: Moderate year round climate; a base of powerful, unique cultural attractions such as Petra, Jerash and a wide range of very different, often stunning natural environments that are easily accessible and virtually undiscovered by the tourism industry. In addition to welcoming more tourists, the nation witnessed a diverse visitor portfolio throughout 2016. According to the Ministry of Tourism and Antiquities (MoTA), tourist arrivals hit 6.4 million in 2016, up 33.5 pc on the previous year. This increase was partly driven by growth in overnight stays, which reached 3.8 million for solo travellers and 314,000 for groups – increases of 19.9 pc and 5.7 pc, respectively. From the Asia Pacific region, arrivals increased by almost 19.5 pc over the 12 month period, followed by growth in visitor numbers from Europe (6 pc), Africa (5 pc) and the Americas (3 pc). 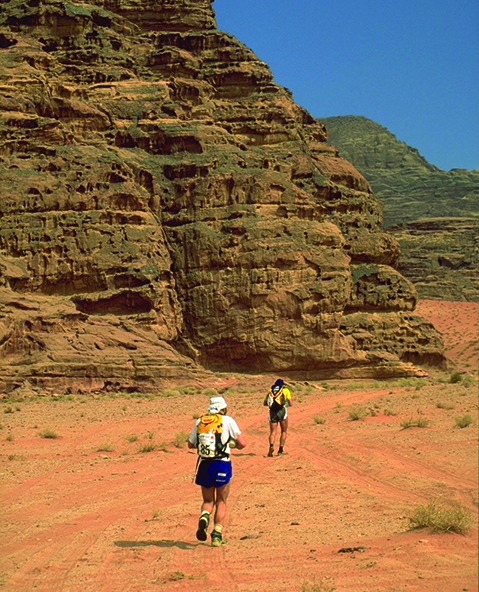 Nature enthusiasts have many options in Jordan. The plunging Jordan Rift Valley that includes the Dead Sea – the lowest spot on earth at 410 m below sea level. 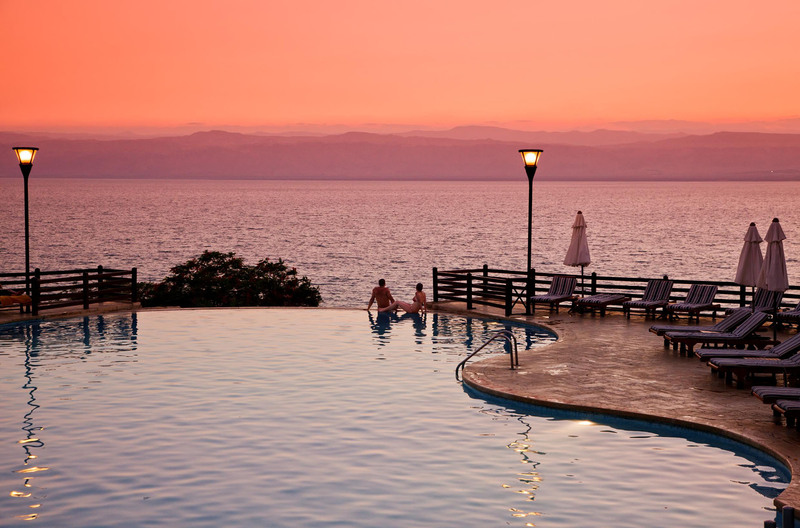 Jordan’s Dead Sea coast is one of the most spectacular natural and spiritual landscapes in the world. The salt content of the water is 31.5 pc making the water so buoyant that it is impossible to sink. The resorts in Aqaba at Red Sea front are always warm, balmy, and enticing for divers and other water sports enthusiasts. 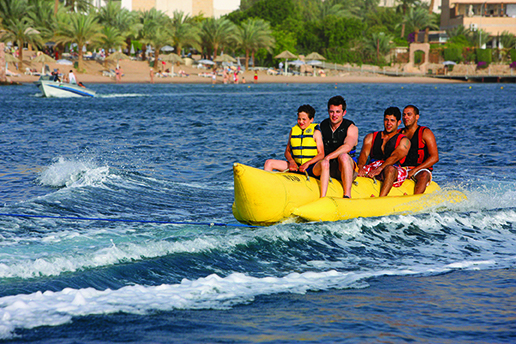 Aqaba offers a full range of facilities for speed boating, scuba diving, snorkelling, sailing, fishing, swimming, water skiing, wind surfing, or simply loafing and sunning in the warm crystal-clear waters of the Red Sea. Wadi Mujib Reserve established in 1987, located at the eastern shore of the Dead Sea covers an area of 220 sq km. The area is blessed with spectacular mountains, cliffs and gorge and is home to intriguing animals and plants and is the best place to trek in the world. Thrill-seekers who want to go beyond the ordinary can get into a helicopter or hot air balloon and rise to mountain-tops in Wadi Rum or around Petra, from where they can trek back down to earth. Gliding and private plane rentals are also available in Jordan, only from Marka Airport in Amman. 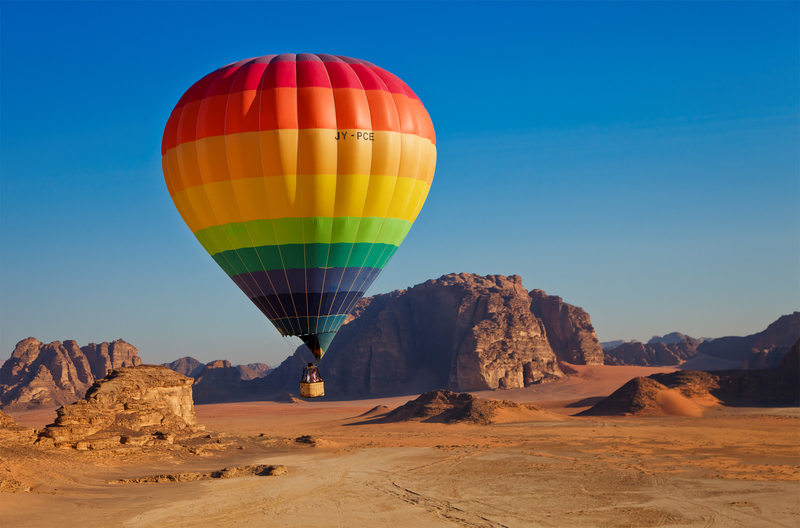 One can take the hot air balloon and float silently over Wadi Rum and enjoy the breathtaking natural rock formations. One can experience the seven pillars of wisdom and the natural dunes of the desert from 6,000 feet. This unique experience is enhanced by experienced pilot and dedicated staff that will make sure every part of the experience is safe and enjoyable. One can also discover Aqaba or Wadi Rum, Lawrences’ springs, the 7 Pillars of Wisdom, or follow the ancient incense route from the comfort of a two-seat aircraft – Ultralight. Another option is Microlight – one can return to the roots of aviation with this small and versatile aircraft. With an experienced pilot, fly above the beautiful rock formations of Wadi Rum in an open aircraft.